My boyfriend and I are currently renting a 1 bed flat in Leeds but will be looking to buy our first home in the next couple of years. 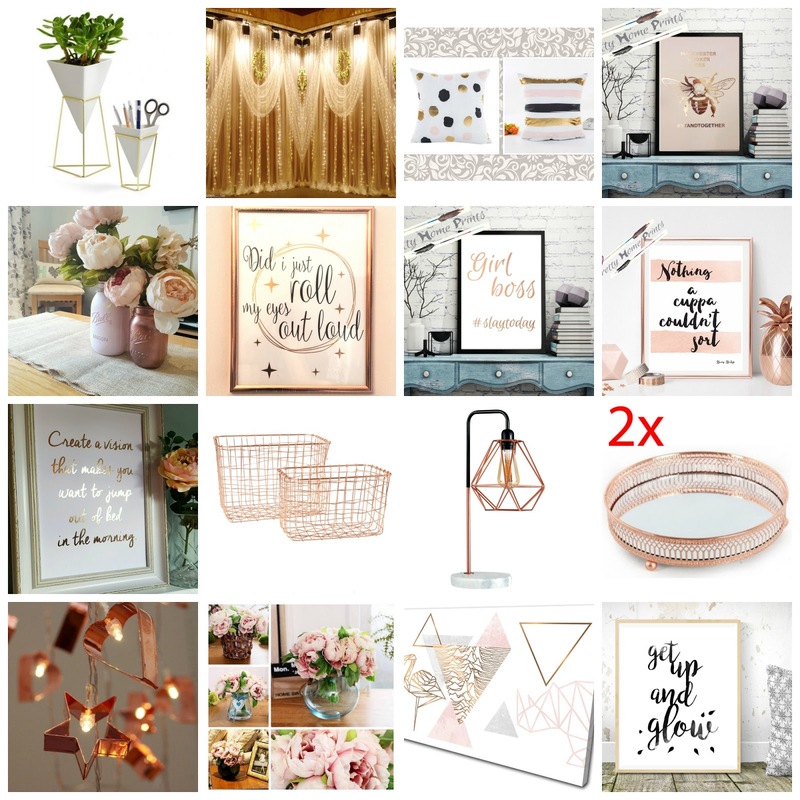 I have spent the last couple of weeks obsessing over pintrest and have been saving my favourite home decor pieces. Ebay is the best place to find some great bargains so I thought I'd share with you some of my favourite pieces. I have been loving the theme of white, grey and a hint of gold/copper and pale pink. I am SO excited to decorate a office/walk in wardrobe room (soz Jay but this is a must have) and can't wait to design and decorate our first little home. We're a long way off yet and we've got lots of saving to do but .. a girl can still look can't they! Where do you get your favourite homeware pieces? Have you found any good Ebay bargains? Let me know in the comments below.